Visit the Goodreads Degranon page to discuss diversity-themed scifi. After a romantic moment between Telius and his boyfriend, we learn the shocking truth of how the Maintainers keep down health-care costs. Sons of Taldra, Chapter 3. Gay Science Fiction has received 7000 views at YouTube. It was the first trailer for Degranon: A Science Fiction Adventure. Science Fiction, Trailer #2 has received 2031 and Degranon: A Science Fiction Adventure, Trailer #3 has received 298. Preview the upcoming sequel, with more chapters coming soon. A new scifi epic from the Wachowskis, with Channing Tatum and Mila Kunis. The effects look great! Gay DVD Review: Tell No One (Come non detto). In this Italian comedy, a gay man can’t manage to come out to his family. His boyfriend plans to visit them and share his plans for marriage. Read my review at ThisWeekInTexas.Com. Indie Mirror describes itself as “a news and entertainment site dedicated to the success of independent artists, authors, film directors, musicians, and creative-types from all around the world.” The interactive site features news, reviews, interviews, promotion advice, and much more, with links to related posts. Indie Mirror’s Listing of Degranon: A Science Fiction Adventure. Click the tags just below this post for more resources. A book by Jerome Brooke. New coverage for Texas Tales of Comedy and Drama. Meet scared newlyweds, scheming neighbors, and a supposedly ex-gay mayor. Read past reviews at Kirkus, Amazon.Com, GoodReads, bn.com (2nd edition), and bn.com (1st edition). It's time for science fiction to face up to discrimination. "Science fiction loves a good paradox. Here's one for you: how can a genre that dreams up alien cultures and mythic races in such minute detail seemingly ignore the ethnic, religious, gender and sexual diversity right here on the home planet, here in the real world?" Guest House Films, led by writer/director/producer Rob Williams and producer Rodney Johnson, will soon begin production of a gay murder mystery in Tampa, Florida. Out to Kill will involve gay men in a loft complex. They find a detective to help solve a murder there. Williams has planned a surprise ending, as well as photography that takes advantage of the tropical setting. Guest House wants to enlist the financial assistance of viewers in making the film. Rewards include a mention in the credits, a DVD, a chance to pitch a screenplay, product placement, and much more, depending on the amount invested. Visit http://igg.me/at/outtokill/x/4500798 to learn more. Many filmmakers have turned to Indiegogo and similar sites to connect with their viewers and make low-budget films possible. For example, J.T. Tepnapa used Kickstarter to help fund Judas Kiss and the upcoming thriller The Dark Place. A search of the word “gay” at Indiegogo.Com or Kickstarter.Com reveals several intriguing projects. Out to Kill will be the seventh film from Guest House. Besides collaborating on their own works, partners Williams and Johnson have also released the documentary The Doctor’s Wife and two short film collections. Click the following links to read my reviews of three movies they made. A classic Gleek-Out Moment from Kurt. The people of Valchondria face danger from one of their protectors and from an alien race of shapeshifters. This novel takes place in the present, in an alternate dimension. Valchondria (Earth) had advanced to space travel but then banned it and stopped advancing. Degranon was a Valchondrian colony, and part of the reason for the ban. Sons of Taldra is a stand-alone sequel to my published novel Degranon: A Science Fiction Adventure. Watch for the first nine chapters to slowly appear online, leading up to the June 2014 release of the complete eBook. Spoiler alert! The chapters after Chapter 1 reveal plot details from Degranon. Most of the characters are people of color, and several of them are gay. However, I’m writing this novel for anyone who enjoys science fiction or fantasy. Native American storytelling inspired my depictions of the shapeshifters. Only 9 US States Recognize Common Law Marriage from SisterTalk Radio, a lesbian online program that covers issues of interest to lesbians, gay, bisexuals, and the trans community. In this podcast, they discuss how banning gay marriage affects common law heterosexual marriages, and they break down gay marriage or civil union laws in different states. The Official Mat Nastos Website includes videos, featured books, comic book marketing advice, and much more from the prolific science fiction author and filmmaker. Indie Book Spotlight: Degranon. "Serving Time is a sci-fantasy chase across the solar system as Tristan and Eneld Cross attempt to escape from the supercompany StarCorp and start an anonymous life on Earth. During their voyage, they’ll discover that someone—or something—else is after them, and there are much larger threats out there than StarCorp." Florence Osmund offers a helpful guide to Promoting and Marketing Your Book, including tips, resources, marketing products, and Web sites. Unless you’re a celebrity, famous author or just an exceptional writer who caught some lucky breaks, you will have to spend more time than you had originally planned marketing your book﻿s. Preview Sons of Taldra, Chapter 1 Draft at Goodreads. Taldra and her twin sons must face new dangers to their world, both from one of its protectors and from outer space. I’ve just revised the chapter again, adding more tension at the beginning. I also renamed the aliens with a nod to the Native American folklore that inspired their creation. I shortened the Navajo shapeshifter name from Yee Naaldlooshii to Naadloosh. In earlier drafts, my changelings were called the Uubsoon, then the Uubsoov. This short eBook includes the gay love poem “Home,” the strange story of “The Gardener,” and the comical “Angels and Razors,” as well as thirty other poems. These works also appear in my longer anthology Holding Me Together: Essays and Poems. During July 2013, Smashwords offers Selected Poems for free, using the coupon code SSW50. Visit my Smashwords Author Page for details about my other books there. The coupon code also gives a 50% discount on my books Degranon: A Science Fiction Adventure and The Acorn Stories during the promotion. Keywords: Gay pride, Gay romance, Gay men, Gay poem, Gay poems, Gay poetry, Gay poets, writers, Gay marriage, War, Social issues, Bible, Religion, Love poems, Story poems, Humor, Satire, Homophobia, Exgay, Ex-gay, Friendship, Diversity, Poetry, American poets, Lubbock poets, Texas poets. In Degranon: A Science Fiction Adventure, gay marriage is legal, and everyone is a person of color, but the Maintainers control our words and weight. 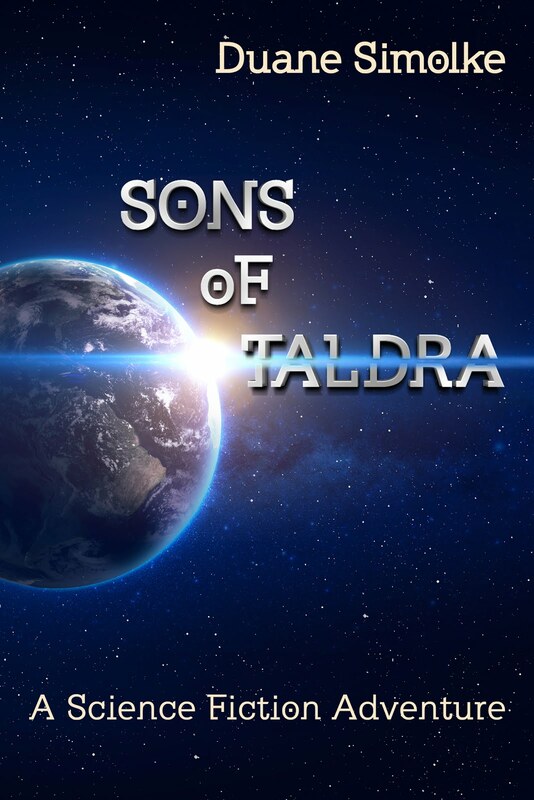 Watch here for more details about Sons of Taldra, the upcoming sequel to Degranon. It involves the Maintainers, an alien invasion, and a big gay wedding. I finished a draft quite a while back, but continue to add or expand scenes. Sons of Taldra draws inspiration from current events and Native American folklore, while revisiting some of the surviving characters from the first book. It’s this love which frees Sri from the reign of darkness and makes her heart rise to lofty heights of anticipated passion with no one to pull her back to reality. It’s Jishu, who appears as the first ray of hope in her overshadowed life and showers her with the ultimate sense of freedom, which she has been craving for. He fills her life with the long awaited perfection. To a flawed person he appears as the flawless. He becomes one among her most perfect acquaintances, but is he really as unblemished as he appears to be. If so, can a flawed person risk a life with the flawless? Do opposites really attract each other or it deviate them from their normal avenues of life? It’s a deeply compelling love affair which takes the readers back to their childhood memories and brings back to them the essence of true love. The changing relations of a man’s life add force to the much ordinary teenage passion. The book is not just about love. It’s about a journey called life which either ends in melancholy or in delight. The Official Website of Tista Ray includes book reviews, author interviews, a blog, and many more features for readers and writers.